The cemetery has been documented and recorded as of 2008 . All Gravestones and inscriptions have been photographed by Fr.Michael Crosby and the record (with photos) is now available online. 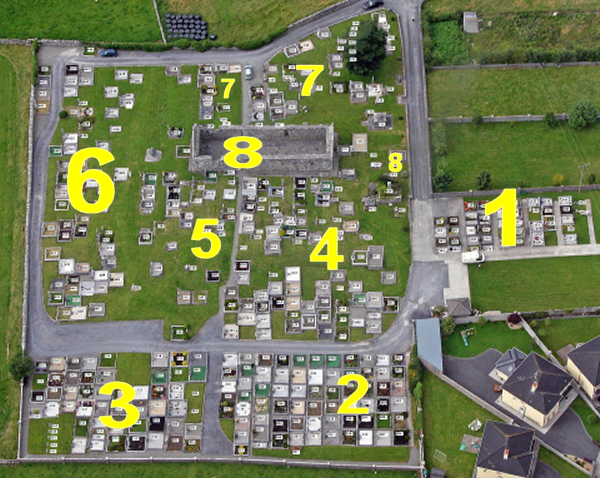 A general layout of the cemetery , showing the different sections is displayed here. A detailed map with grave numbers is also available here – click on it to zoom in , it may take some time to download !!! 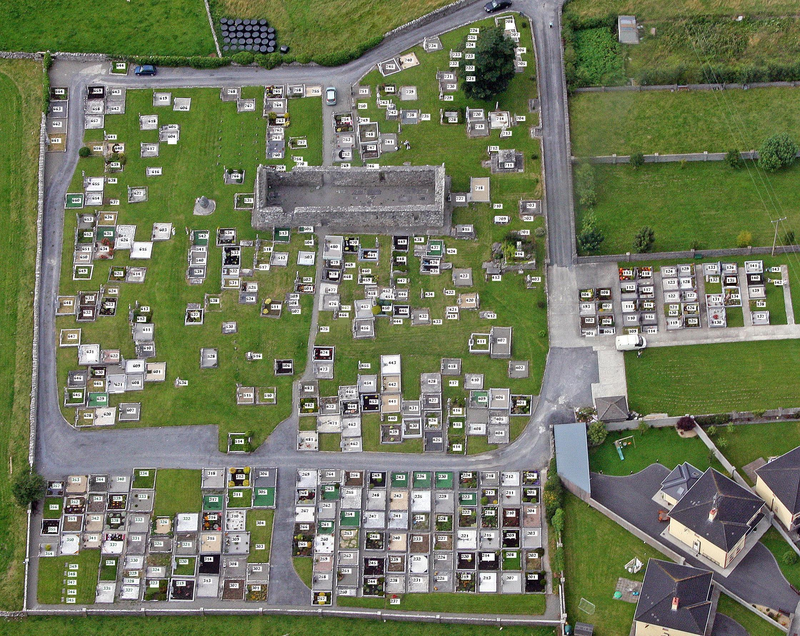 Moyne cemetery has been documented and recorded as of 2009 . All Gravestones and inscriptions have been photographed by Fr.Michael Crosby and the record (with photos) are online. A detailed map with grave numbers is also available here – click on it to zoom in it may take some time to download !!! 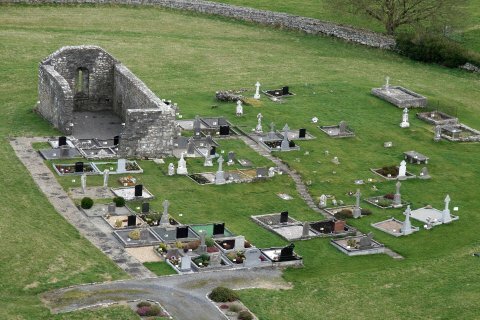 New Parish Priest in Shrule is Fr. Val Loughrey ( see shruleparish.ie for details ). Have you tried death records for the missing details or pension search forms can also be helpful . Also look in neighbouring Parishs in case they are recorded there instead . Shrule is on the Mayo/Galway border so this could be an issue. Can anyone tell me more information about the monument at the front of the church that looks like a “pinecone.” It is directly in front of plot 535. Thanks so much! Thank you so much for this valuable work. I believe the second photo on this page depicts my great great grandfather’s grave site. I am traveling with my parents in Ireland soon and plan to be in Shrule on April 10. We’d love to thank you in person and learn anything else we can about the family. 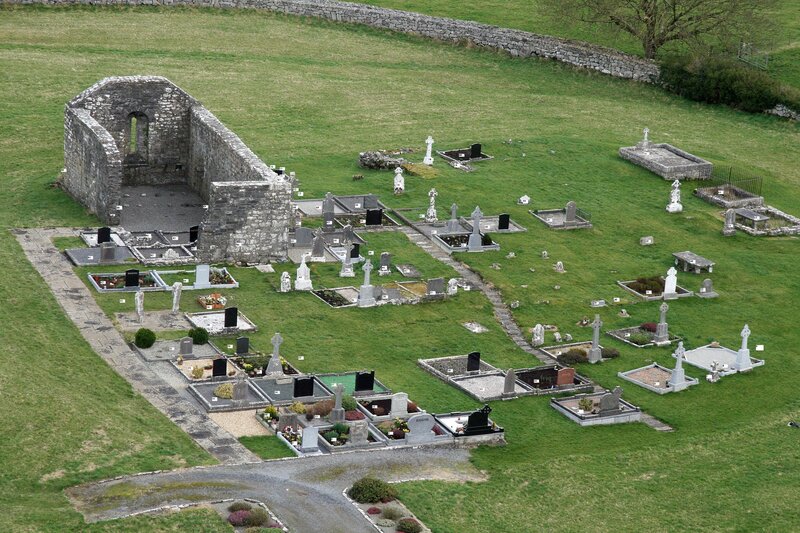 The graveyard is in Shrule town , opposite the Dalgan rd. Thank you for doing this. My great grandmother, Margaret Mellett, was born in Shrule and emigrated for the United States. The gravestone of her brother Patrick is pictured here. I hope to come to Shrule one day to try to find more about the family.